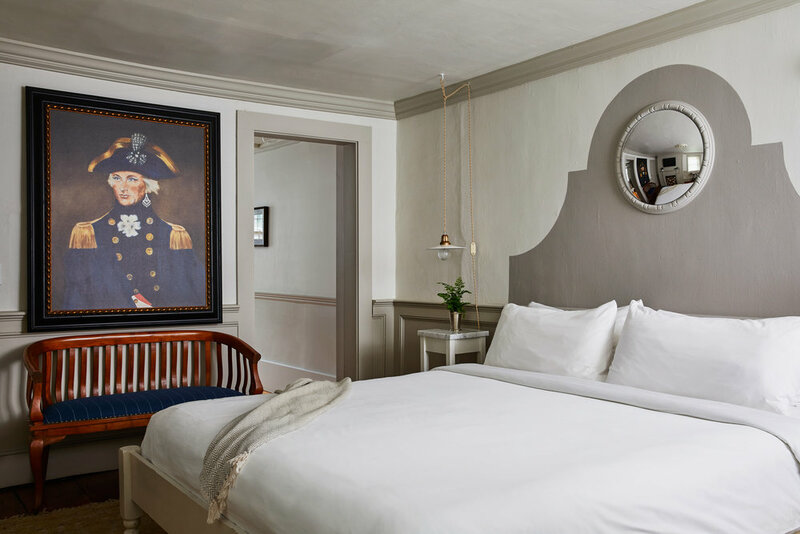 Located on the top floor of the historic Captain’s House, this completely renovated suite features restored hardwood floors, custom king mattress with luxury bedding including a summer weight duvet, renovated private en-suite bathroom, separate living room, air conditioning, flat screen television with 180+ channels of digital cable, and mini fridge. Luxuriate in Lime Coriander bath amenities from our favorite New York City apothecary C.O. Bigelow, the oldest in America established in 1838. Wash responsibly with Further Hand Soap made from glycerin derived from distilled biofuel and with a scent of bergamot, olive and exotic grasses that we just can't get enough of.